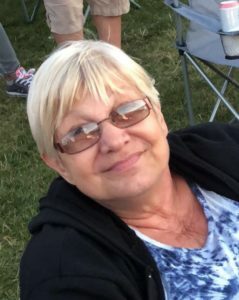 Rickie N. Clements 60, of Oswego, died Thursday, January 24, 2019, at her home with her family by her side. She was born in Syracuse the daughter of the late Gene and Lillian (Hanreck) Peiropan. Rickie was a devoted homemaker and a jack of all trades. She is a veteran having served in the United States Airforce. Rickie was predeceased by her daughter Nena. She is survived by her children Nicole, Victoria, Sidney, and Mickey. She is also survived by her siblings Karen and Dean along with her 15 grandchildren. Calling hours will be Wednesday from 4:00 to 6:00 P.M. at Sugar & Scanlon Funeral Home, Inc., 147 W. 4th St., Oswego.